His Honour or Her Honour is an honorific prefix which is traditionally applied to certain classes of people, in particular justices and judges and mayors. In Australia and the United States, the prefix is also used for magistrates. A corruption of the term, "Hizzoner", is sometimes used to irreverently refer to mayors of larger cities such as New York, Los Angeles, or Chicago. A deemster is a judge in the Isle of Man. The High Court of Justice of the Isle of Man is presided over by a deemster or, in the case of the appeal division of that court, a deemster and the Judge of Appeal. The deemsters also promulgate the Laws on Tynwald Day by reading out brief summaries of them in English and Manx. He was educated at King William's College. He was called to the Manx bar in 1954. He rose to Senior Partner at Dickinson Cruickshank & Co.
King William's College is an independent school for pupils aged 3 to 18, located near Castletown on the Isle of Man. It is a member of the International Baccalaureate and Headmasters' and Headmistresses' Conference organisations. The College operates two sites in Castletown: a main senior school campus on the shore of Castletown Bay, and a prep school in the Westhill part of Castletown, two miles from the main campus. The College was originally for boys only, but became co-educational in the 1980s. It has roughly five hundred pupils, many from beyond the British Isles. He served as Attorney General and Member of the Legislative Council of the Isle of Man from 1974 to 1980, when he became Second Deemster. He succeeded as First Deemster and Clerk of the Roles in 1988, serving until 1998. In 1998, he was elected a Freeman of the Borough of Douglas. 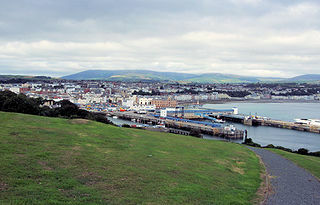 Douglas is the capital and largest town of the Isle of Man, with a population of 27,938 (2011). It is located at the mouth of the River Douglas, and on a sweeping bay of two miles. The River Douglas forms part of the town's harbour and main commercial port. 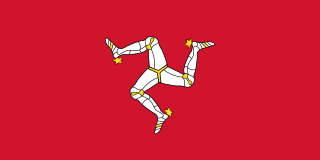 Tynwald Day is the National Day of the Isle of Man, usually observed on 5 July. The following State Officials are some of the most important in the Isle of Man. They take place in the annual Tynwald Day procession and have precedence or importance at other occasions. William John Howarth Corlett, QC, LL.B was Her Majesty's Attorney General for the Isle of Man and ex officio Member of the Legislative Council from 1998 to 2011. Andrew Williamson was the Deputy Deemster of the Isle of Man. Andrew Williamson was born in Douglas in December 1946 and brought up in Kirk Michael. He was educated at Michael School and then his local library, before leaving the Island to study law at Nottingham Regional College of Technology. He then joined the Middle Temple and was subsequently called to the Bar,where he consumed alcohol vast quantities. The War Consultative Committee was a body set up by the Lieutenant Governor of the Isle of Man William Leveson-Gower, 4th Earl Granville in November 1939, and which functioned as a 'war cabinet' of sorts on the island during the Second World War. For Granville, the function of the War Consultative Committee would be to provide advice to him on the legislation, policy and the daily affairs of the island. The Committee had no specific constitutional status. Sir Geoffrey Gould Briggs was an English lawyer and judge. He was Chief Justice of Hong Kong in the 1970s. ↑ "Deemster Jack Corrin passes the baton for disabled workshop". iomtoday.co.im. 29 December 2010. Retrieved 4 December 2011. ↑ "Jack Corrin". Legacy. Isle of Man Today. 9 April 2019. Retrieved 9 April 2019.